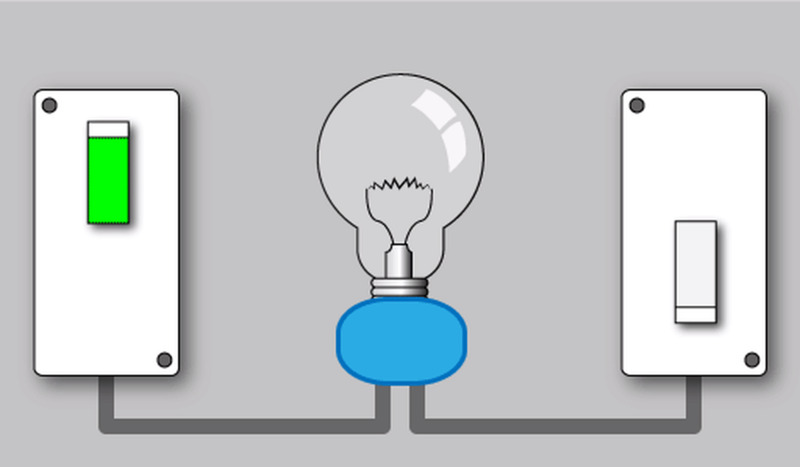 Most home wiring is done with nonmetallic cable (aka Romex), but there is limited use for electrical pipe or electrical metallic tubing (EMT) and occasionally for rigid conduit, as well. It is generally used when the wiring must be exposed on the surface of a wall as protection against damage or as a future method of getting wire inside a wall. 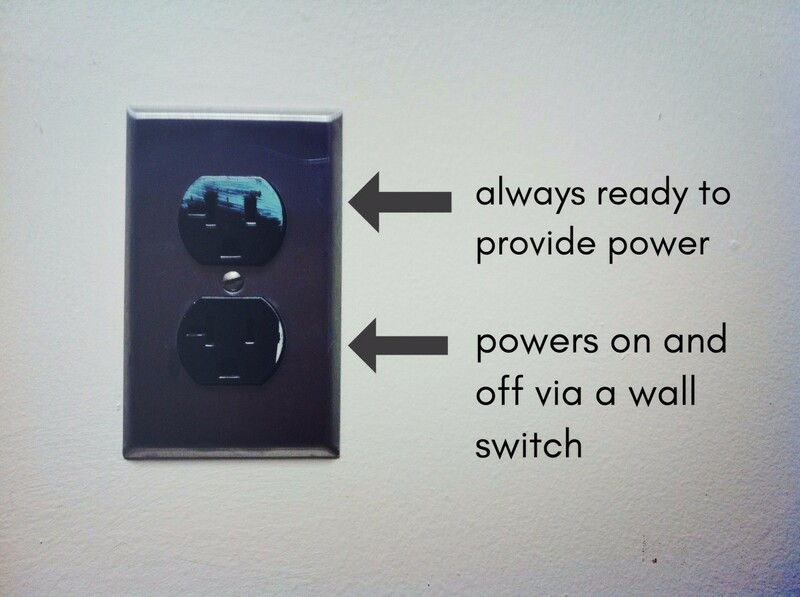 The pipe is fastened to wall or ceiling and wire pulled through it to reach an outlet, switch, or other electrical device. However, wire cannot be pulled through sharp corners such as those used in plumbing; instead, the electrical pipe is bent into gentle curves to turn corners, go around obstacles, or change directions for any reason. As a professional electrician, I have bent and installed miles upon miles of conduit. 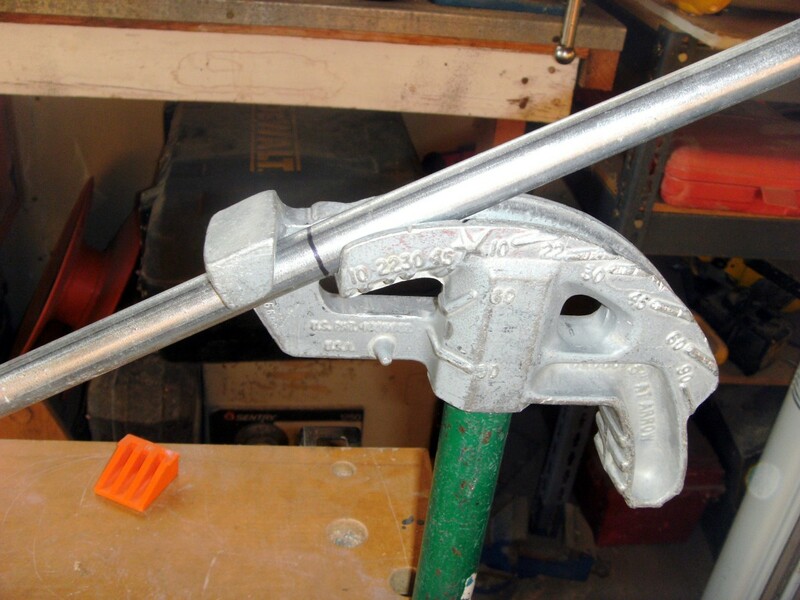 Anyone can learn to make a few simple bends necessary to install some conduit in their home. 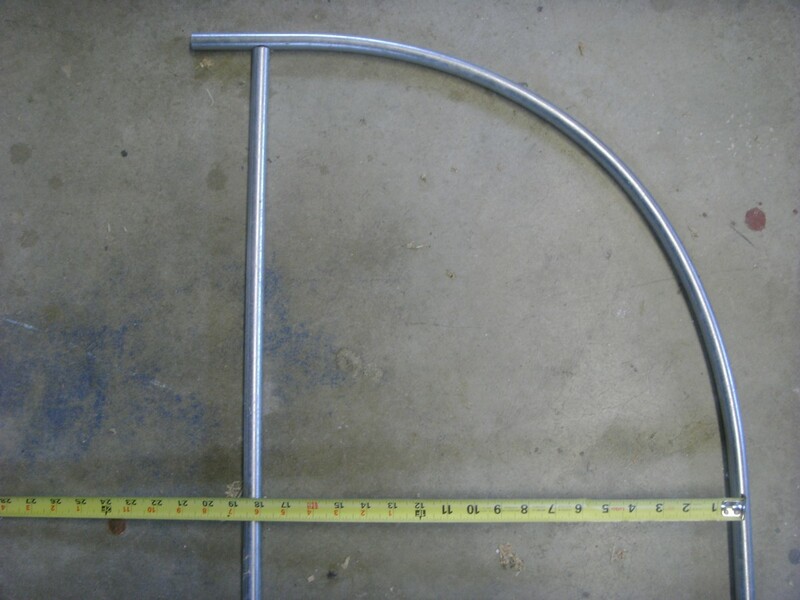 Trade sizes of ½", ¾" and 1" EMT as well as ½" and ¾" rigid conduit is easily bent using a hand bender. Larger conduit sizes are best purchased pre-bent from the factory as very expensive machinery is needed to bend them. By far the most common is either ½" or ¾" EMT; rigid pipe is much harder to handle and assemble and is reserved for areas where severe physical damage (running over it with a car, perhaps) might occur and for underground use. This tutorial, written by a professional electrician who has installed miles of conduit, will focus on bending EMT as the most useful electrical pipe in the home. The first tool on the list is a hand bender. These tools are designed to bend only one size of EMT, plus sometimes a different size of rigid pipe. 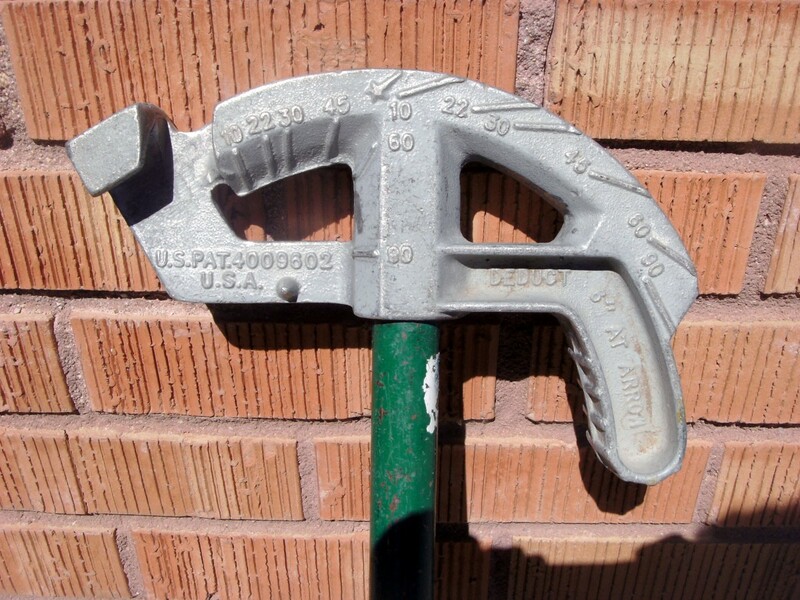 A different bender is then required for each size of conduit—probably the most useful around the home is a bender for ¾" EMT, which is also used to bend ½" rigid pipe. A bender for ½" EMT is also very useful, but it won't bend rigid pipe at all. 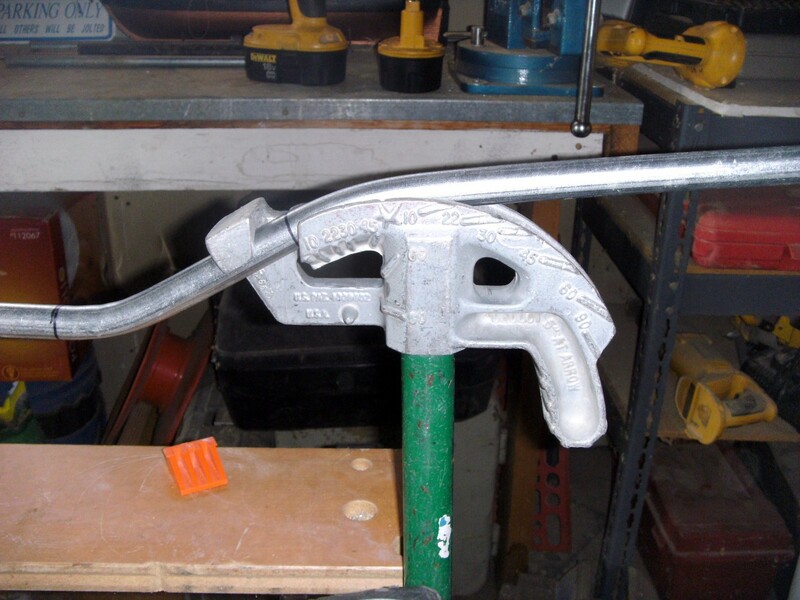 A 1" EMT bender can be used to bend ¾" rigid conduit as well, but it takes a lot of force to do this and is probably best left to the professional. Recommended are benders by Greenlee, Klein or Ideal. A good tape measure is indispensable, as is some method of marking the conduit to be bent. Stanley makes good tape measures and aren't too expensive. A pencil will work if the work is to be exposed, but otherwise a sharpie (sharp magic marker) makes a more visible mark. Installing the conduit inevitably requires some cutting, so a good hacksaw or other method of cutting metal pipe will be needed. Don't settle for a cheap saw unless you plan on making a couple of cuts and throwing it away - stick to brand names such as Dewalt or Klein. Some means of smoothing the rough cut is necessary as well; conduit reamers are available for EMT but a small round file coupled with a flat file will work. Whatever is used, both the inside of the pipe (for protection of the wire) as well as the outside (fittings won't go over a rough cut) must be smoothed. 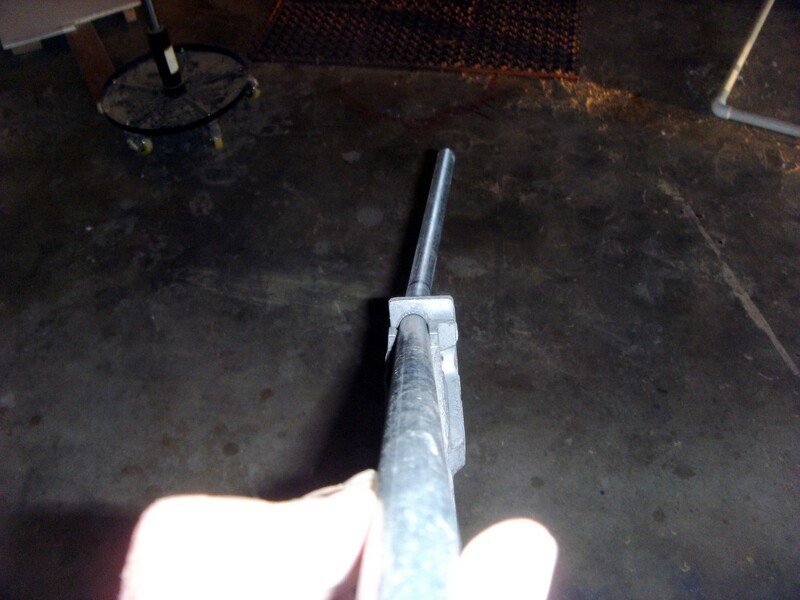 Rigid pipe is usually reamed with files as the pipe walls are too thick for the conduit reamer. A decent small level, around 6" long, is necessary. 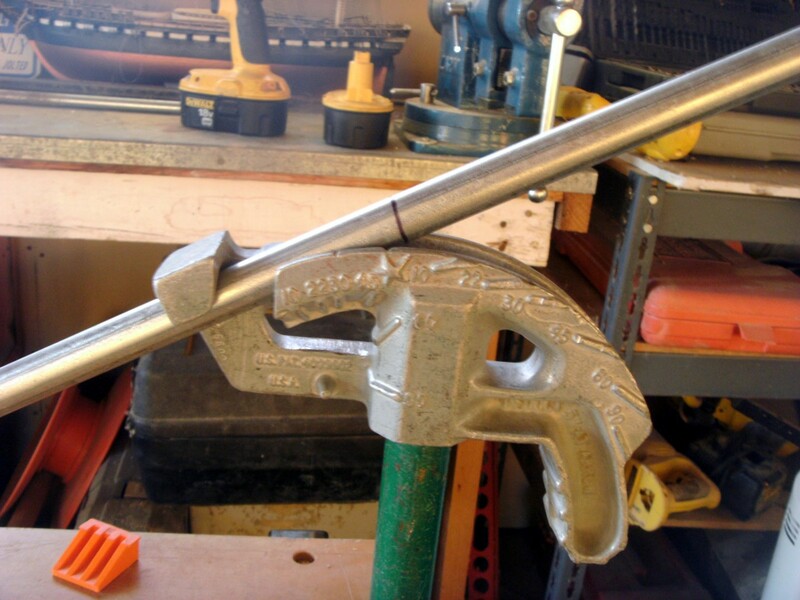 It should have magnets, and good ones, down one side to hold it to the pipe, but if you are not going to be doing a lot of bending it can be held by hand as well. Torpedo levels are just the right size. The "toe" of the bender is to the left of the picture and the "heel" is to the right. The heel has a foot pedal on it, where foot pressure is applied when used in the upright position. Just behind the toe is a slot where conduit may be inserted and twisted to lay flat; later pictures will illustrate a conduit ready to bend. Just left of the handle is a series of marks, with numbers beside them. Under that is a small pin; when used upright the user looks straight down at the pin and bends the conduit until the pin lines up with the desired degrees of bend. Above the handle in the picture is a star on the side of the bender; this is the mark for a "backbend". To the right of the handle are the same numbers as on the left, with marks associated with each number. 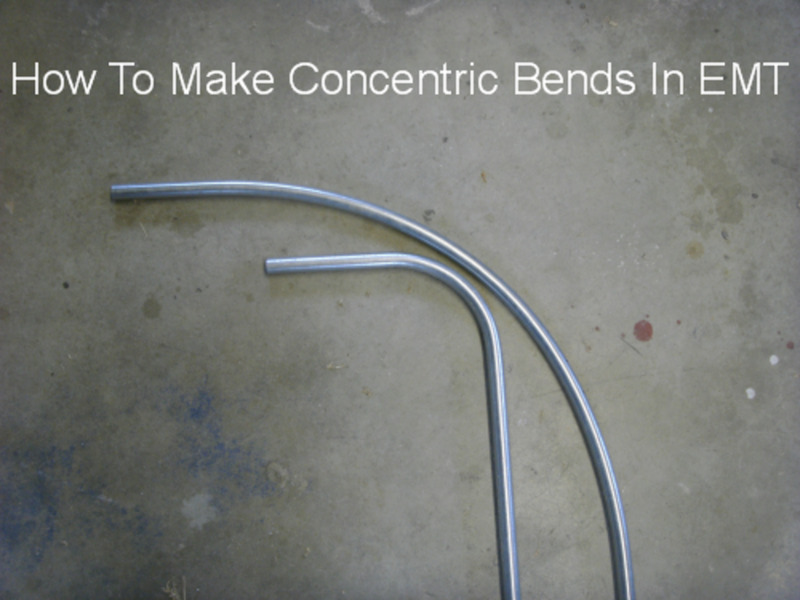 When bending upside down, the conduit is bent until it aligns with the mark associated with the desired degree of bend. Bends of 10, 22, 30, 45, 60 and 90 degrees are possible. This is the other side of the same bender; the toe of the bender is now on the right side. Important marks are the arrow just behind the toe, used to bend a 90 degree bend, and the numbers and indicators. The indicators are the same as the other side, but the numbers are "multipliers" for various bends; this will be covered in the section of offset bends. 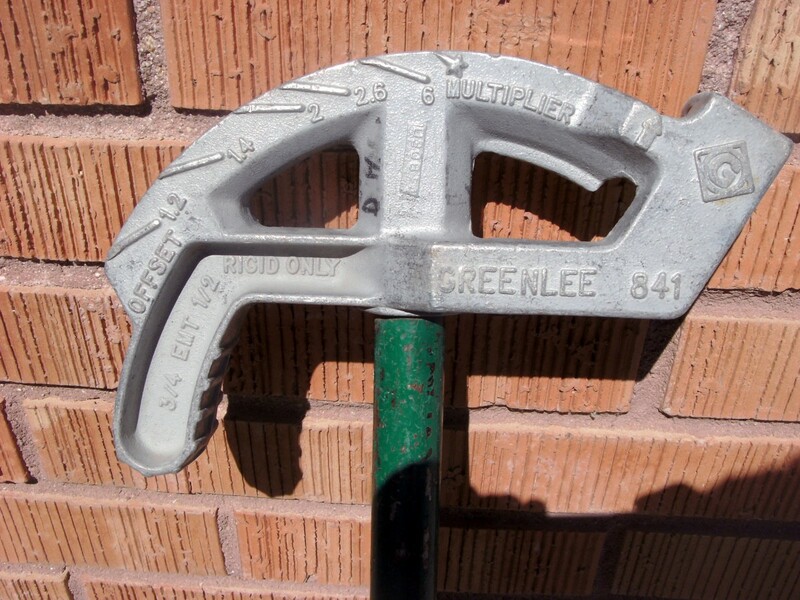 Not all manufacturers stamp these numbers on the bender; it is one of the pluses of a Greenlee bender. 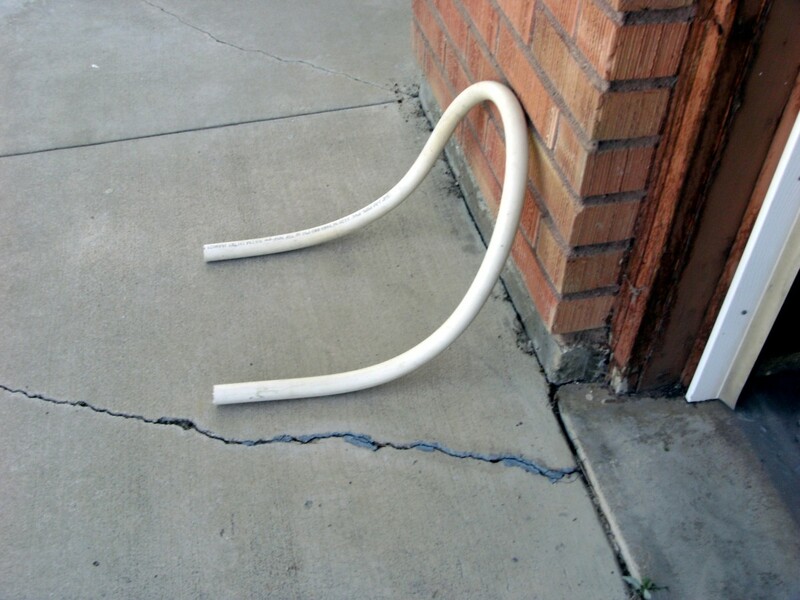 There are two types of bends that will be most useful to the homeowner that just needs to install a little pipe. The first is a 90 degree, right angle, bend and the second is an offset bend. Both are done with the same bender, although the procedure and measurements differ considerably. A "90" is the common term for a right angle bend - to go around an inside corner for instance (bending around an outside corner is not possible while remaining snug to the surface). To that end you will need to know how far away the corner is. Measure the distance to the far side of where the 90 will be; if your conduit is running horizontally across a wall and needs to bend at a corner measure from the starting point to the other wall. Apply the appropriate deduct for the bender you are using. This number can be found in the table to the right and is stamped on the bender as well. To use the deduct subtract the number in the table from your measurement. Example: if your measurement is 55" and you are using a ½" bender, your new measurement is 50". Mark the conduit, taking note of which you are measuring from. In the example the mark should be at 50" from one end. Insert the electrical pipe into the bender, with the mark at the arrow as shown in the photo below. 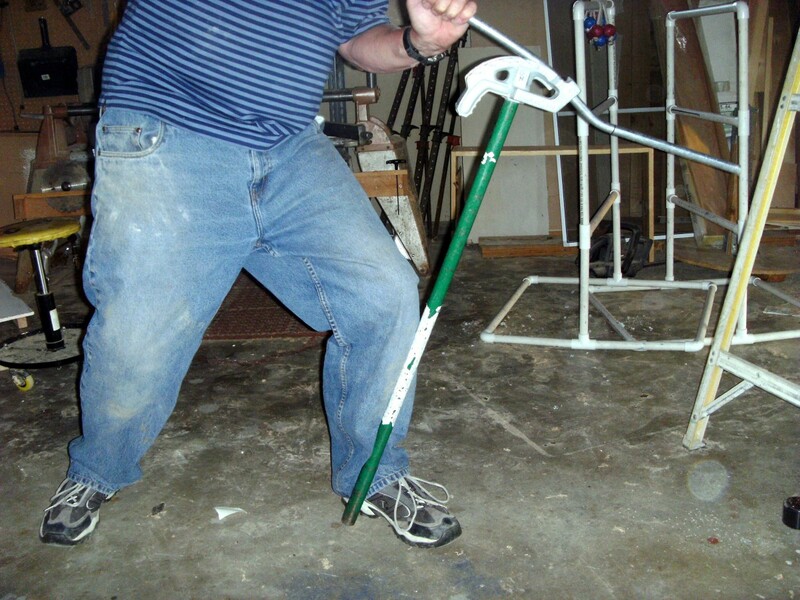 Although the photo shows the bender upside down in order to show the pipe position better, you will need the handle up, with the foot on the floor. The toe of the bender must be toward the end of the conduit that was measured from. In our example the bender toe will be just under 50" from the end of the conduit with the heel of the bender on the 70" end of the pipe. 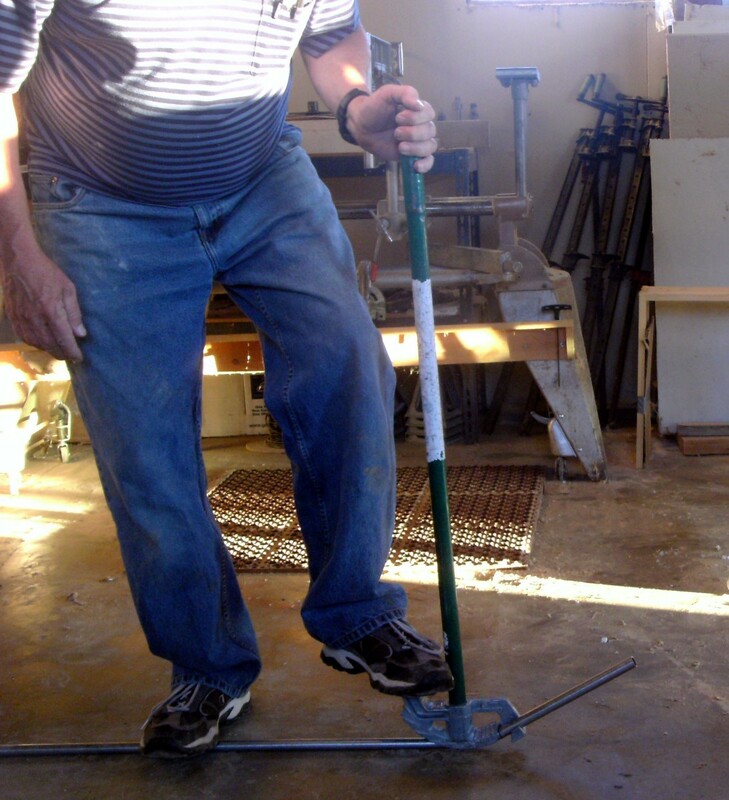 Apply firm foot pressure to the foot pedal and slowly press the handle down, bending the conduit. 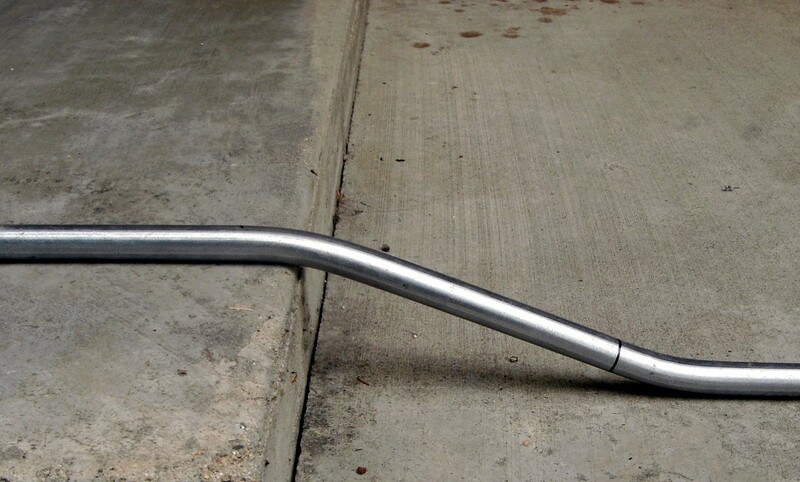 As the bent end rises into the air, grasp it with your free hand and apply slight pressure to the conduit as well. Not much; mostly you just want to guide and steady it, but use some force on the conduit itself. Continue bending, with very firm foot pressure, until the bent end appears just short of vertical and stop any bending motion. Without removing the bender (just leave it right where it is, on the floor), check that the bent end is vertical with a level. If your bend kinks in the middle, it is almost certainly from not using enough foot pressure; not only does that foot pressure help bend the pipe but it keeps the bender pressed into the bent conduit so that the conduit follows the smooth path of the bender. It is necessary to very slightly overbend the conduit as it will spring back two or three degrees when pressure is removed. Make additional bend as necessary so that the end is vertical with all pressure removed from the bender. 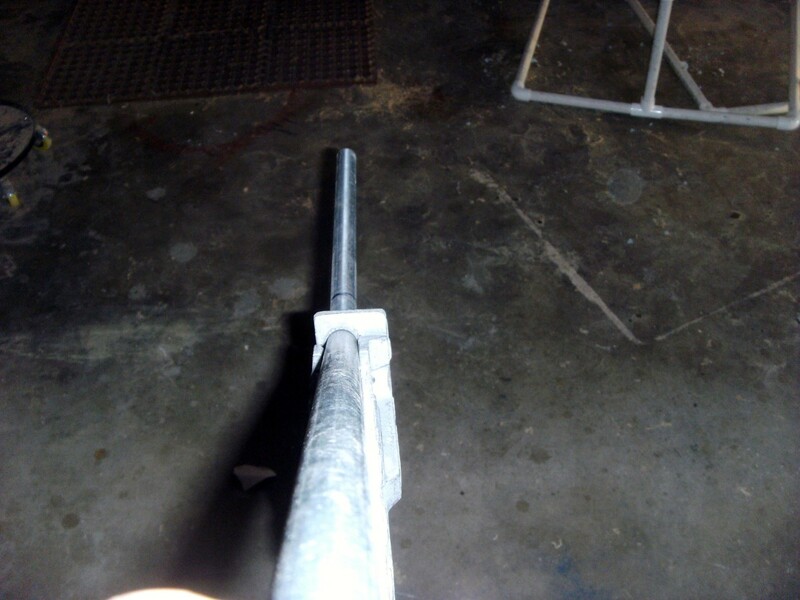 If you overbend too much it is not too difficult to "unbend" the pipe a few degrees; stand on the end still on the floor and push backwards on the bent end. So far, so good, but what if the 90 is 110" long? Conduit is only available in ten foot (120") pieces and that leaves only 10" unbent - that won't work. The answer is to backbend the 90. To accomplish this do not use the deduct figure; mark the pipe at the full measured length. When placing the conduit in the bender, though, turn the bender around so that the toe is pointing away from the conduit end measured from and place the conduit so that the mark made on the pipe is at the star on the side of the bender, about halfway around the curve. In the example of a 110" bend, the toe will point towards the short end of the conduit, with the long end at the heel. Make the bend in the same manner as before. Deduct numbers are a function of the individual bender and can vary by manufacturer. 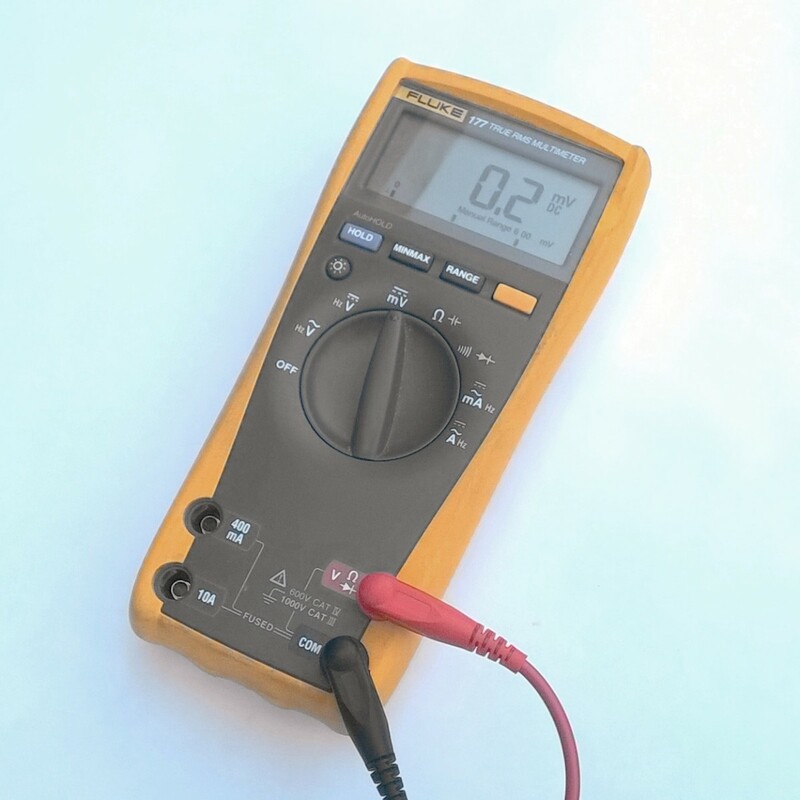 The National Electric Code sets the minimum radius of a bend, however, and nearly all manufacturers adhere to that; the result is that very few benders have a different deduct than what is listed here. The second common bend is an offset bend. This is used when the conduit needs to continue in the same direction, merely move over, or up or down, a little way. The very first photo in this article is of an offset bend that needed to move up 4 inches as the surface it was on rose four inches. Looking at the diagram below, the heavy dark line represents the electrical pipe, bent along the side of an imaginary green triangle. The distance (a) is the amount of offset. The distance (c) is the calculated length between bends, and angle (d) is the degree of bend to be made. Taking the measurement isn't difficult; it is merely the height of the obstruction that must be crossed. Calculating the distance between bends is a little more difficult and requires the use of multipliers, those numbers stamped on the back side of the bender. The multipliers are a function of the degree of bend and not the bender, however, and are reproduced in the table below. Once the measurement is taken, the next step is to multiply it by the multiplier for your chosen degree of bend. As an example, if you need a three inch offset and wish to make 22 degree bends, multiply 3 times 2.6, getting 7.8 inches. This is very close to 7.75 inches, or 7 ¾", and that figure would be the distance between the two bends. A second example: you wish a 5 inch offset using 30 degree bends. The multiplier for 30° is 2; 5 times 2 is 10, and the bends will be 10 inches apart. Two marks must be made on the conduit for an offset. Measure the distance from the start point to the obstruction and mark the conduit at that distance. Measuring from that mark towards the starting end of the conduit, make a second mark at the calculated distance from the first mark. By doing this the offset will be completed before the conduit reaches it. Offset bends are generally made "in the air"; that is, with the bender upside down and the handle on the floor with the foot in the air. Insert the pipe into the bender with the first mark (farthest from the starting end) at the very end of the toe and with the toe of the bender point away from the end that was measured from. Hook the bender handle with a foot and press down on the conduit, applying pressure as close to the bender as is comfortable. The closer to the bender you apply pressure, the better the bend and the less chance it will kink; typical is around one or two feet away. Bend the conduit until the bottom of the pipe is parallel to the stamped indicator on the bender for the degree of bend you want. See the photo to the right. Release the pressure, spin the conduit 180 degrees so the bend is pointing up instead of down, and push the conduit forward until the second mark on the conduit is at the very end of the bender, right where the first mark was. Make sure the bend already made lines up exactly with the rest of the pipe; if it doesn't a "dogleg" will be the result. Again, see the photos showing proper alignment. Make the second bend the same way as the first, and lay the pipe on the floor to verify that both bends were made the same by turning the conduit until the offset is pointed up. 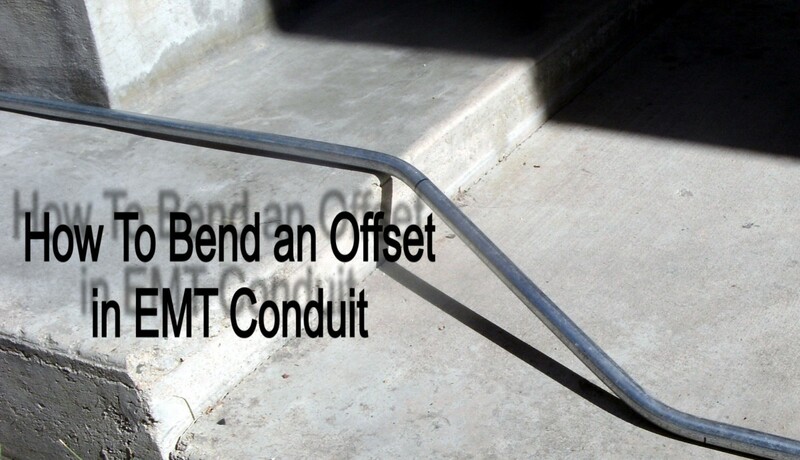 The raised portion of the conduit should be parallel with the floor, but higher than the floor by the desired amount of offset. If it is not parallel, one or the other of the bends can be increased as necessary, or even decreased with careful positioning. This concludes this article on bending electrical pipe, but there are many more advanced bending techniques used by the professional electrician. A kick 90 is a fairly common bend, as are various saddle bends and concentric bends to mention just a few. While this article is intended for the homeowner needing to install a little conduit, if you wish to expand your expertise or are an apprentice starting out in the electrical trade you might check out the conduit bending guide for beginning electricians or one describing the math behind bending conduit. The comprehensive guide to bending conduit is a "title page" listing all the articles in the series along with a brief description of each. Great resource...for my husband! I will remember this hub if he ever needs to do this. This will be very helpful to many people. Well done! Useful and vote up! It's a comprehensive informative hub with perfectly understandable explanations to what you need and how to do it all. Very, very useful and also very easy to follow. It takes a little practice to do it well, yes, but anyone can learn and it is not limited to youth, either. Retirement is just around the corner for me and it is a daily activity in my line of work. Thank you for the compliment. I've tried to make the explanation understandable to someone that has never tried to bend electrical pipe - perhaps I succeeded. That was an awesome Hub! I will never do this particular job, but I think that given these instructions and all the research, any young person could manage it! Provided the work was done with concentration, that is. Congratulations. Voted Up, etc. Very well written!